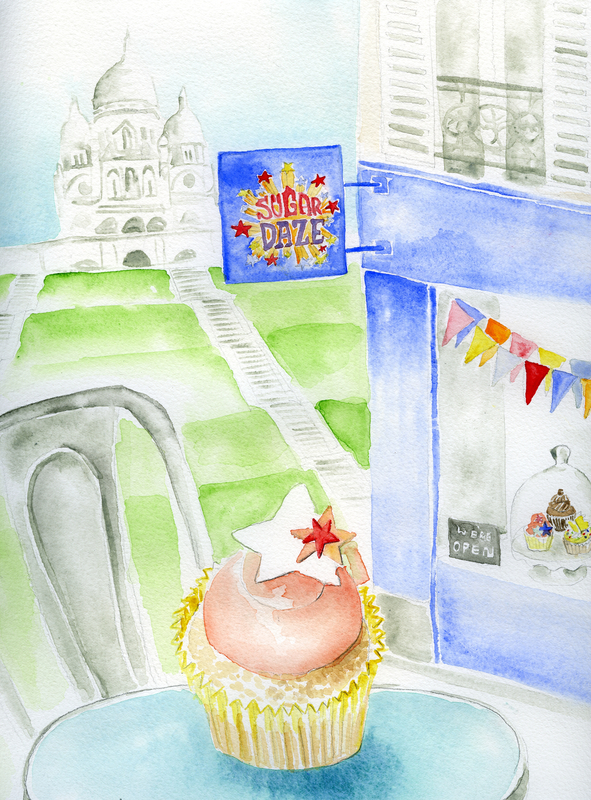 Sugar Daze, the best cupcakes in Paris. Hi Cat. Can’t wait to see the postcards. I’ll stop by sometime this week! Bon dimanche. Great watercolor today with such detail! From the look of M. Monnier’s physique, I think it is possible that he enjoyed way too many delicacies like the tempting one you have painted. The lime green grass lets us know that Spring is arriving. Many thanks. This is just wonderful. What a beautiful piece, Jessie! And of one of my all-time favorite places…!